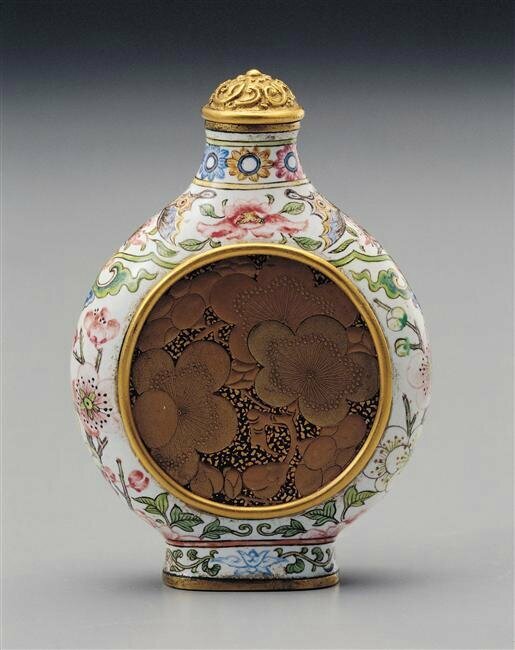 MADRID - Opening in February at the Museo Thyssen-Bornemisza is Masterworks from Budapest. From the Renaissance to the Avant-Garde, an exhibition which, for the first time in Spain, presents an important selection of paintings, drawings and sculptures from the collections of the Museum of Fine Arts in Budapest and the Hungarian National Gallery. In total the exhibition features 90 works from the 15th to the 19th centuries representing artistic schools such as the Italian, German, Flemish and Spanish and including great names from the history of art such as Dürer, Leonardo da Vinci, Rubens, Velázquez, Tiepolo, Cézanne and Manet, in addition to interesting works by Hungarian artists, together offering visitors a comprehensive idea of the collections housed in these institutions. Curated by Guillermo Solana, artistic director of the Museo Thyssen, and Mar Borobia, head of its Department of Old Master Painting, the exhibition is organised in collaboration with the Museum of Fine Arts, which is closed for renovation until March 2018, and the Hungarian National Gallery, where part of the Museum of Fine Arts’s collection is temporarily exhibited. To be accompanied by a range of activities, this is the first event in the Museo Thyssen’s exhibition programme for 2017, the year that marks the 25th anniversary of its opening to the public. Grien; The Renaissance in the South, with works by Leonardo da Vinci, Lotto, Raphael and Bronzino; The Baroque in Flanders and Holland, a room that includes works by Peter Paul Rubens and Anthony van Dyck; The Baroque in Italy and Spain, with canvases by Annibale Carracci, Alonso Cano and Velázquez; The 18th century, with an excellent representation of the Venetian school led by Sebastiano Ricci and Giambattista Tiepolo, magnificent works by Central European artists who are little known in Spain, including an exceptional group of sculptures by Franz Xavier Messerschmidt; a monographic room devoted to The New Image of Women, with works by artists from Manet to Kokoschka; and finally, From Impressionism to the Avant-Garde, which presents international art from the 19th century to World War I.
Grouped around Dürer, the most celebrated artist of the German Renaissance, represented here by Portrait of a Young Man (ca.1500-1510) and Lancer on a Horseback (1502), this opening section displays the work of other leading northern European artists such as Lucas Cranach the Elder with Salome with the Head of Saint John the Baptist (ca.1526-1530), an example of the artist’s finest style; Albrecht Altdorfer with The Crucifixion (ca.1518-1520); Jan Gosseart with The Mocking of Christ (1527); and Hans Baldung Grien, with The Virgin of Sorrows (Mater dolorosa) (ca.1516). The section is completed with a magnificent landscape drawing by Wolf Huber and a work by the Mannerist artist Bartholomeus Spranger. 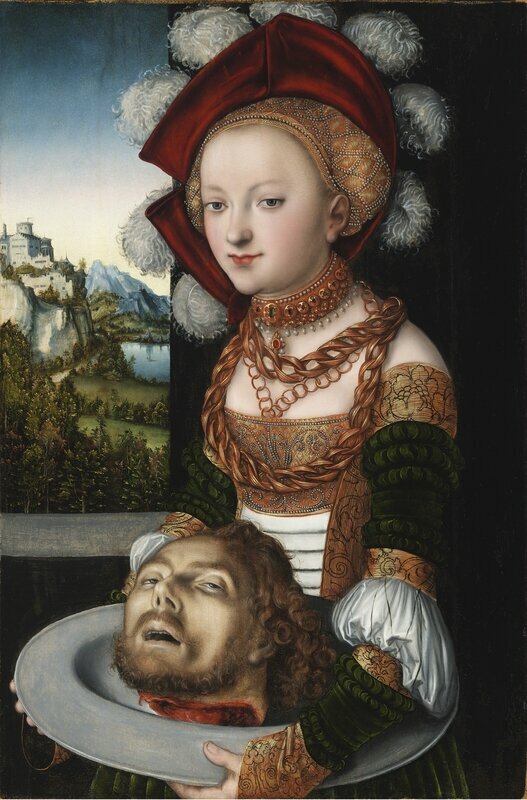 Lucas Cranach the Elder, Salome with the Head of Saint John the Baptist, ca.1526-1530, oil on poplar wood, 88.4 x 58.3 cm. Budapest, Museum of Fine Arts. Hans Baldung Grien, The Virgin of Sorrows (Mater dolorosa), ca.1516, oil on wood, 152.2 x 46 cm. Budapest, Museum of Fine Arts. The second room focuses on leading names of the Italian Renaissance, with important examples of the Florentine, Venetian and Lombard schools. Outstanding among them are two works by Leonardo da Vinci: a drawing of Studies of Horses’ Legs (ca.1490- 1492) and a small equestrian sculpture of a Mounted Warrior (1500-1505). Other exquisite creations include the Esterházy Madonna (ca.1508) by Raphael, a celebrated work from the artist’s mature period; The Adoration of the Shepherds (ca.1539-1540) by Bronzino, a masterpiece of fully developed Mannerism; and Mary Magdalene in Penitence by El Greco (ca. 1576), which reveals the influence of Italian art on the Cretan artist’s painting. 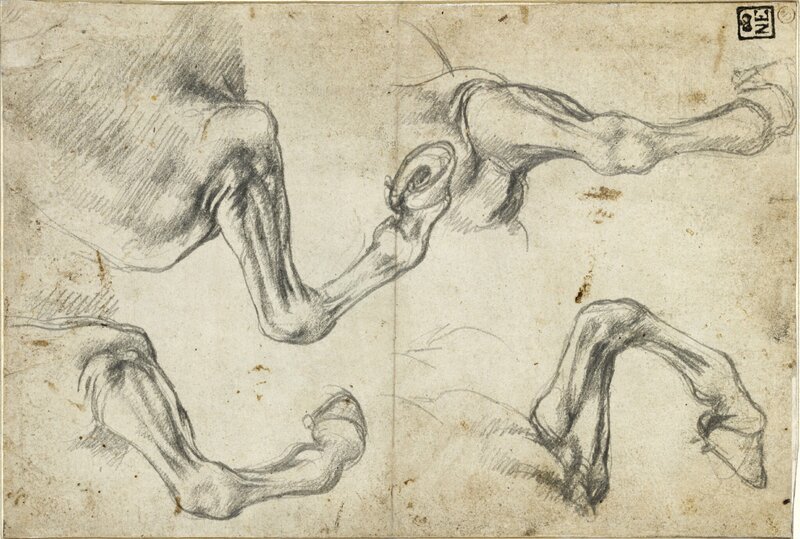 Leonardo da Vinci, Studies of Horses’ Legs, ca.1490- 1492, charcoal on paper, 21.3 x 14.5 cm. Budapest, Museum of Fine Arts. 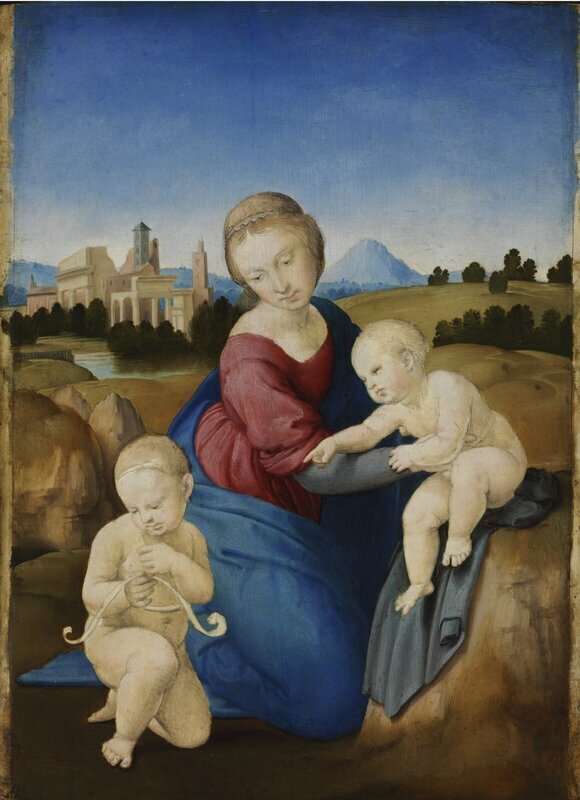 Raphael, Virgin and Child with the Young Saint John Baptist (The Esterházy Madonna), ca.1508, tempera and oil on wood, 28.5 x 21.5 cm. Budapest, Museum of Fine Arts. 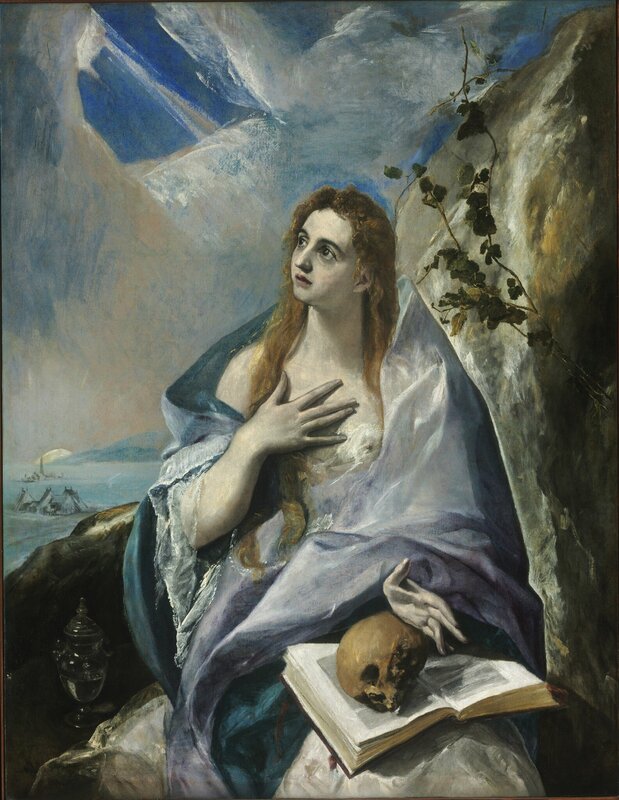 El Greco, Mary Magdalene in Penitence, ca. 1576, oil on canvas, 156.6 x 121 cm. Budapest, Museum of Fine Arts. A large-format canvas by Rubens, one of the greatest representatives of Baroque painting, opens the next section, dedicated to this artistic tendency in Flanders and Holland. 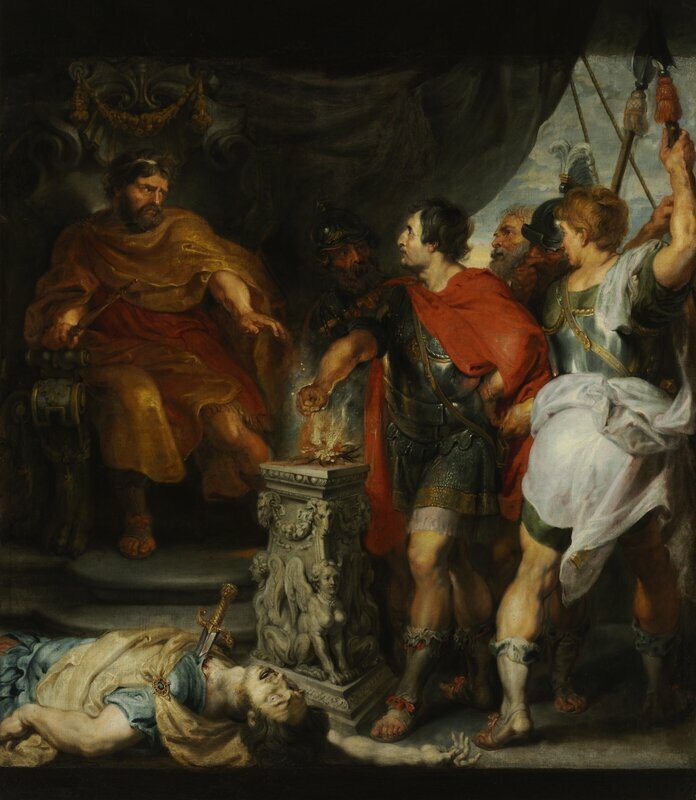 Rubens’s canvas, which depicts Mucius Scaevola before Porsenna (ca.1618-1620), reveals how the painter made use of all his artistic resources to reflect this episode with enormous intensity, demonstrating a masterly synthesis of the Flemish and Italian schools. It is very likely that the canvas was painted with the collaboration of Rubens’s most gifted pupil, Anthony van Dyck, also represented here by Saint John the Evangelist (ca.1620), an elegant canvas that was part of an Apostles series. Other Flemish painters present in this section are Jacob Jordaens, with his canvas of Adam and Eve (1630-1640), and Jacob Grimmer, with a set of four canvases on the Seasons. Peter Paul Rubens and Anton van Dyck, Mucius Scaevola before Porsenna, ca.1618-1620, oil on canvas, 187 x 156 cm. Budapest, Museum of Fine Arts. 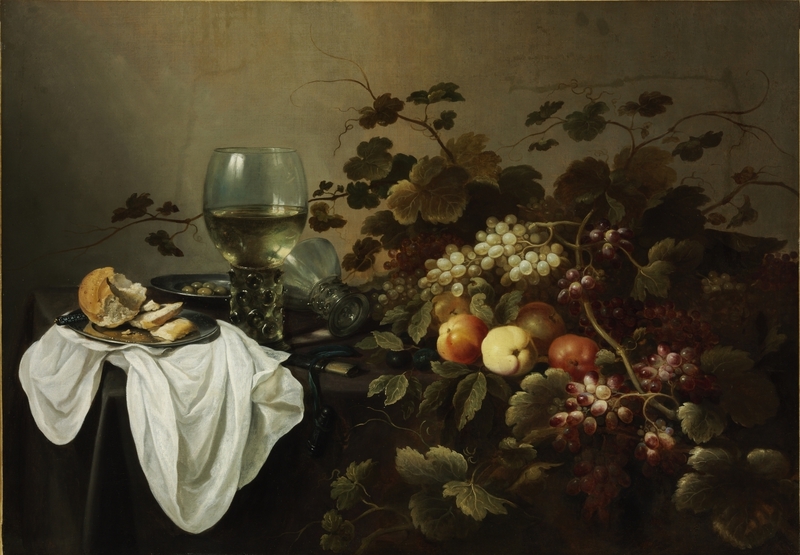 Pieter Claesz, Still Life with Fruit and Roemer, 1644, oil on canvas, 104.5 x 146 cm. Budapest, Museum of Fine Arts. The most important representatives of Spanish Golden Age painting are brought together in this space. They include Francisco de Zurbarán, with a late Immaculate Conception (1661), and Diego Velázquez with Tavern Scene with two Men and a Girl (The Luncheon) (ca.1618-1619), an early work that offers a simple presentation of an everyday subject. This section also includes works by Alonso Cano, Bartolomé Murillo and Mateo Cerezo, represented by splendid canvases on religious subjects. 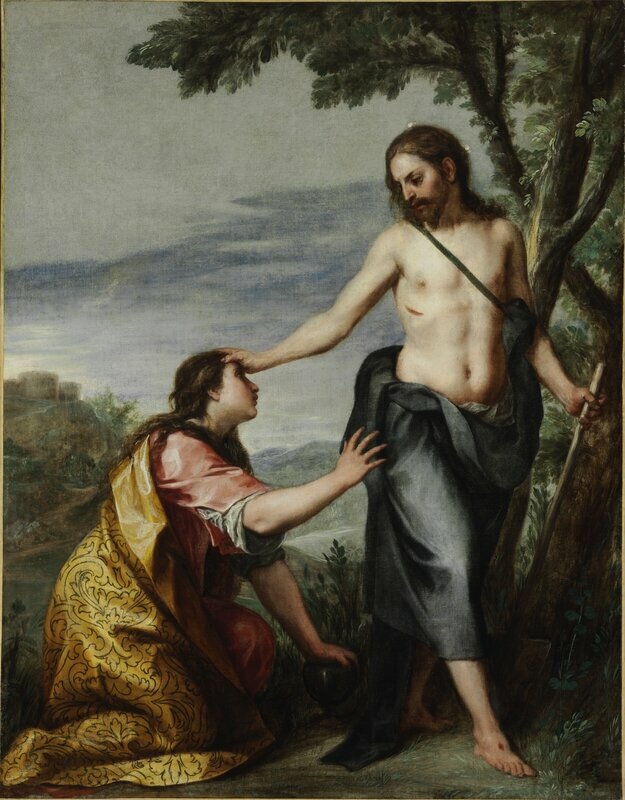 Alongside them are outstanding examples of Italian Baroque painting: Christ and the Samaritan Woman (ca.1596-1597) by Annibale Carracci, one of the most important works within the early classicising Baroque current; Diana and Actaeon (ca.1603-1606) by the Mannerist painter Giuseppe Cesari, which depicts an episode from Ovid’s Metamorphoses; and a colourful Annunciation (ca.1640) by Bernardo Strozzi. 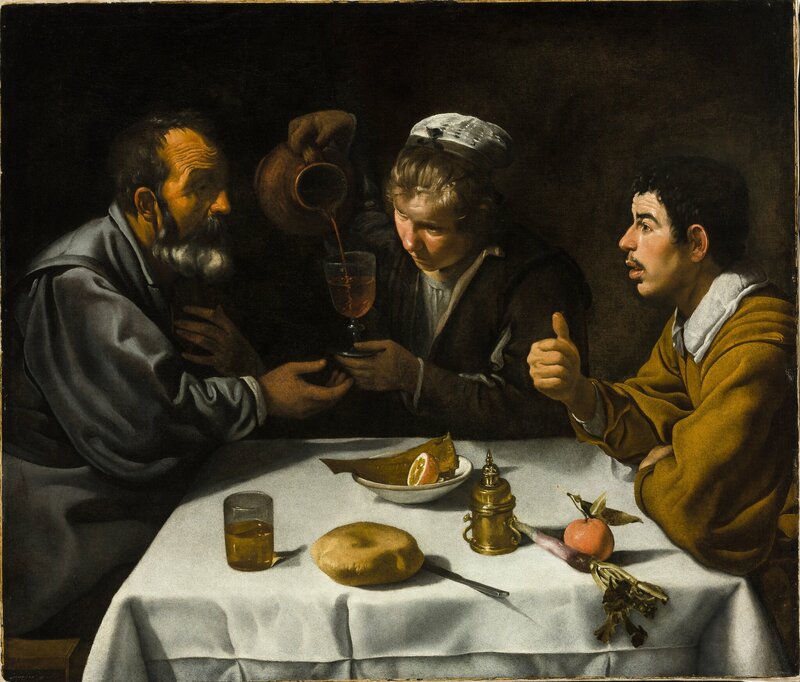 Diego Velázquez, Tavern Scene with two Men and a Girl (The Luncheon), ca.1618-1619, oil on canvas, 96 x 112 cm. Budapest, Museum of Fine Arts. Alonso Cano, Noli me tangere, after 1640, oil on canvas, 141.5 x 109.5 cm. Budapest, Museum of Fine Arts. 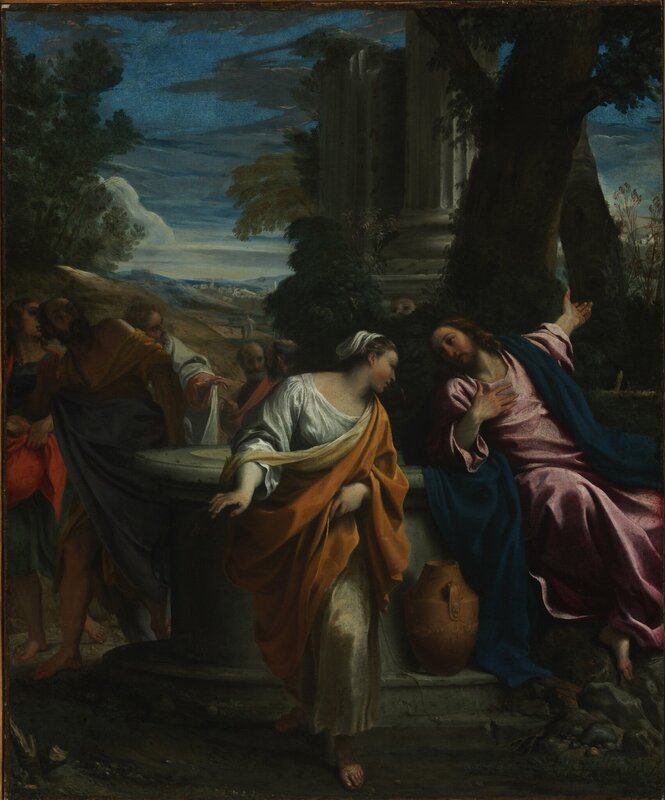 Annibale Carracci, Christ and the Samaritan Woman, ca.1596-1597, oil on canvas, 76.5 x 63.5 cm. Budapest, Museum of Fine Arts. Within the outstanding collection of paintings housed in the Museum of Fine Arts, the representation of the Venetian school is particularly notable in terms of both quality and number of works. This section, the largest in the exhibition, presents a selection from these holdings, including the oil on canvas Bathsheba at Her Bath (ca.1724) by Sebastiano Ricci and The Virgin with Six Saints (1749- 1750) by Giambattista Tiepolo, in addition to a number of city views by the famous vedute painters Canaletto, Guardi and Bellotto. 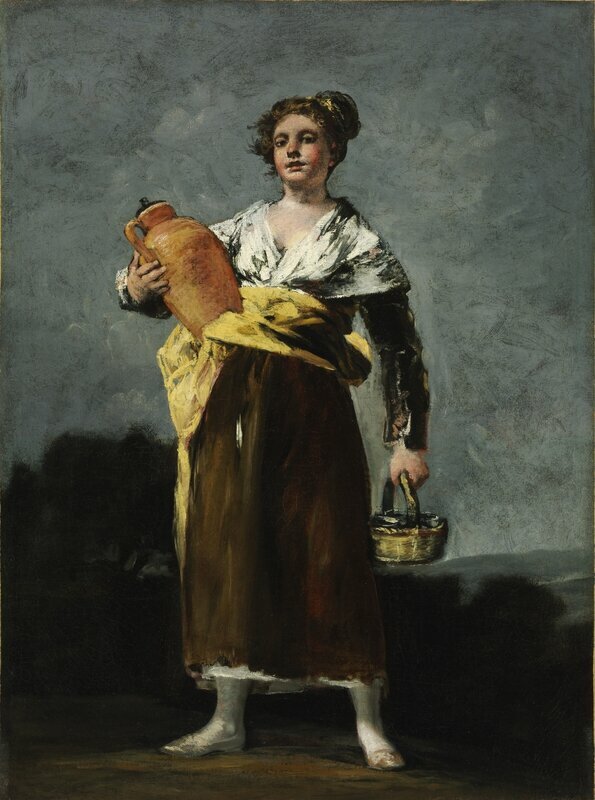 The section is completed with three canvases by Francisco de Goya: a portrait of Ceán Bermúdez’s wife (1792-1793), The Water Carrier (1808-1812), and The Knife Grinder (1808-1812); a group of works by the German sculptor Franz Xaver Messerschmidt, notably his series known as the Character Heads, constituting a repertoire of grotesque facial expressions; and a selection of works by Hungarian artists including Jakab Bogdány, Ján Kupecký y Ádám Mányoki. 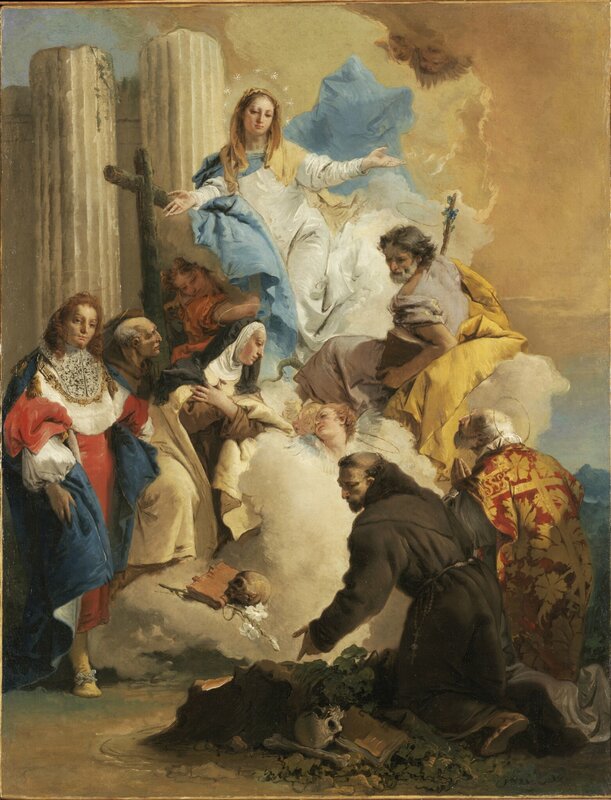 Giambattista Tiepolo, The Virgin with Six Saints, 1749- 1750, oil on canvas, 72.8 x 56 cm. Budapest, Museum of Fine Arts. 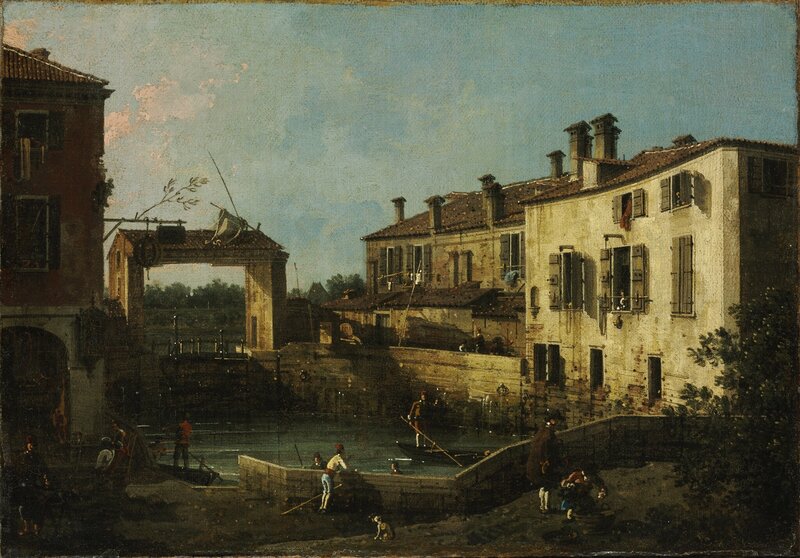 Canaletto (Giovanni Antonio Canal), The Lock at Dolo, ca. 1763, oil on canvas, 30.5 x 44.5 cm. Museum of Fine Arts, Budapest. 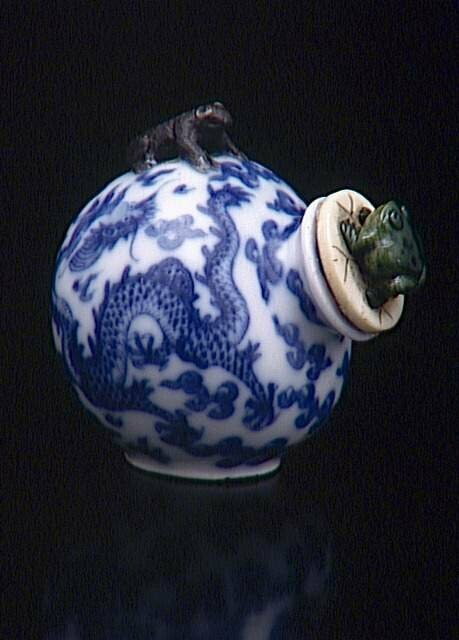 Symbolism, one of the artistic movements that characterised the last quarter of the 19th century, placed a renewed emphasis on emotions, states of mind, dreams and fantasy through the female figure. Artists affiliated with this movement include Puvis de Chavannes from France, Arnold Böcklin from Switzerland, Franz von Stuck from Germany and János Vaszary from Hungary. Their work is to be seen in this section alongside various powerful and expressive paintings by Oskar Kokoschka and Lady with a Fan (1862) by Édouard Manet, who was associated with Baudelaire, the poet and precursor of Symbolism. Édouard Manet, Lady with a Fan, 1862, oil on canvas, 89.5 x 113 cm. Budapest, Museum of Fine Arts. 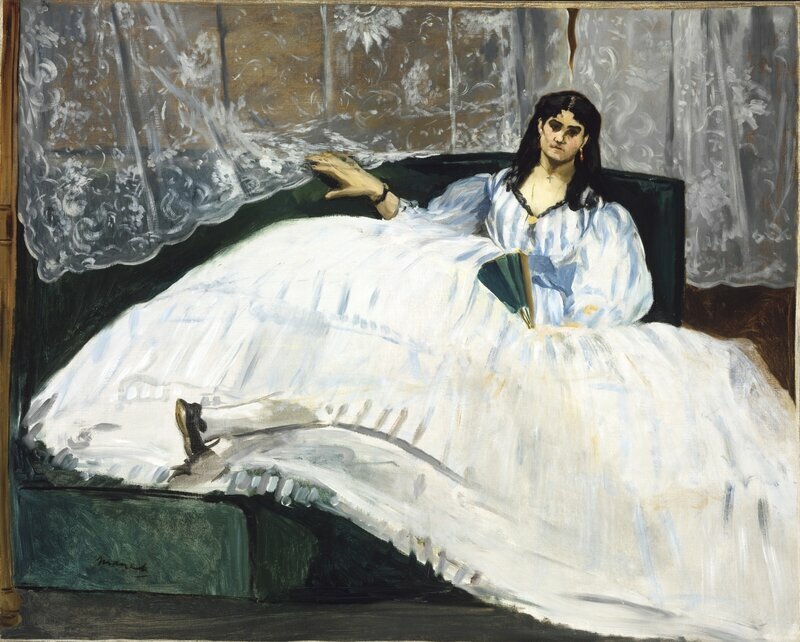 József Rippl-Rónai, Woman in a White-dotted Dress, 1889, oil on canvas, 187 x 75 cm. Budapest, Museum of Fine Arts. This final room presents a selection of works from different artistic movements spanning the final decades of the 19th century to the start of World War I. They range from Claude Monet’s rapid, spontaneous brushstroke in Plum Trees in Blossom (1879) to Camille Pissarro’s manner of capturing the effects of light in The Pont Neuf (1902), the new ideas on pure colours introduced by Paul Gauguin in Black Pigs (1891), or Cézanne’s characteristic volumes in The Buffet (1877-1879). This section also focuses on several great Hungarian painters, including Károly Ferenczy, Adolf Fényes, Vilmos Perlrott-Csaba, Sándor Ziffer and Sándor Bortnyik, whose work reveals the influence of the new pictorial languages that emerged in France, from Impressionism and Neo-impressionism to the Avant-Garde. 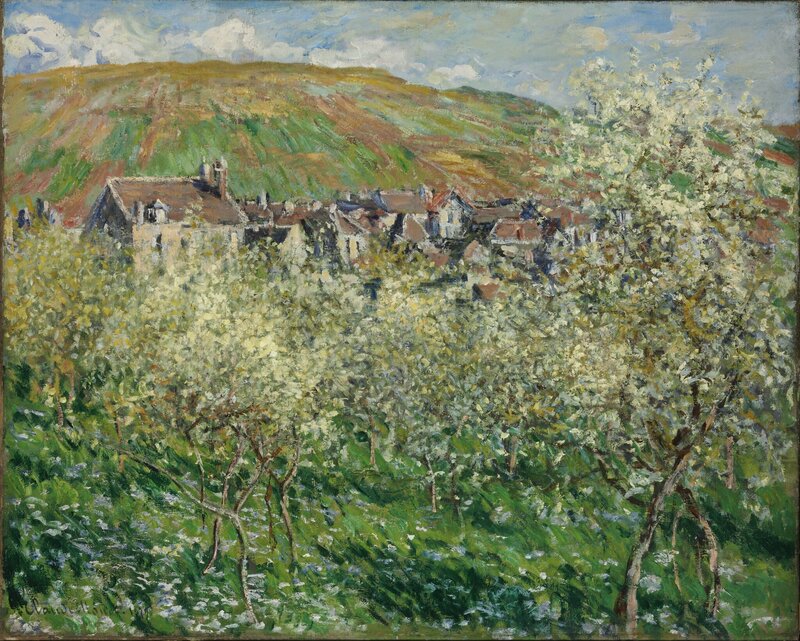 Claude Monet, Plum Trees in Blossom, 1879, oil on canvas, 64.5 x 181 cm. Budapest, Museum of Fine Arts. 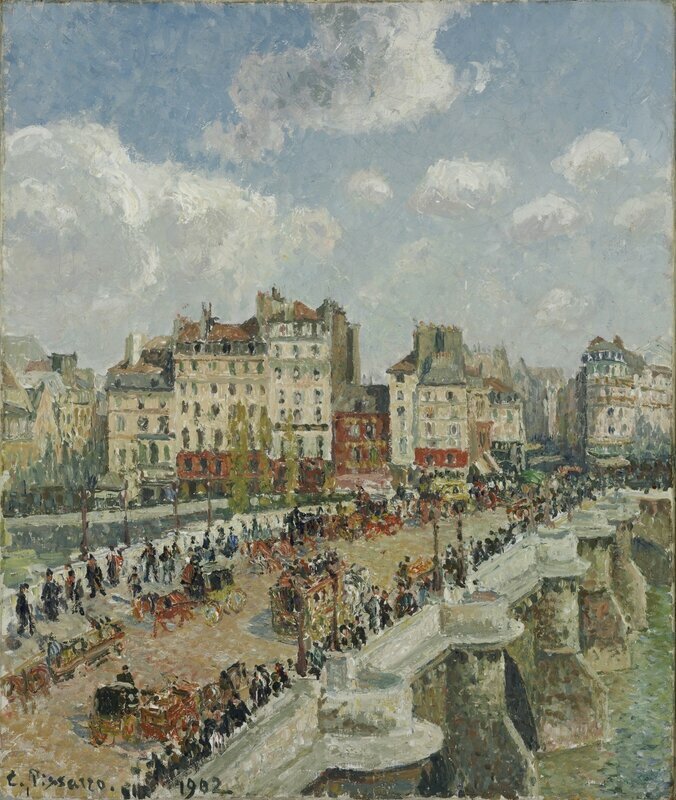 Camille Pissarro, The Pont-Neuf, 1902, oil on canvas, 55.3 x 46.5 cm. Budapest, Museum of Fine Arts. 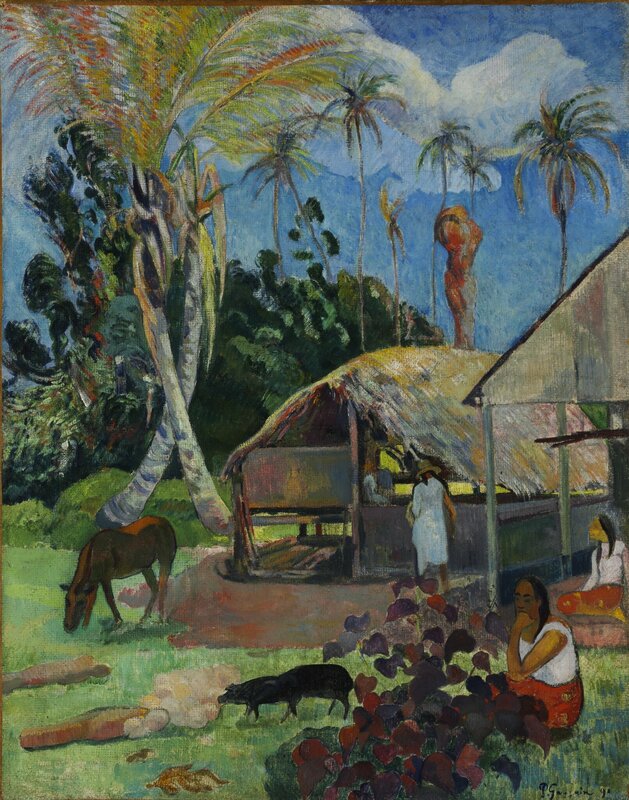 Paul Gauguin, Black Pigs, 1891, oil on canvas, 92.5 x 72.2 cm. Budapest, Museum of Fine Arts. 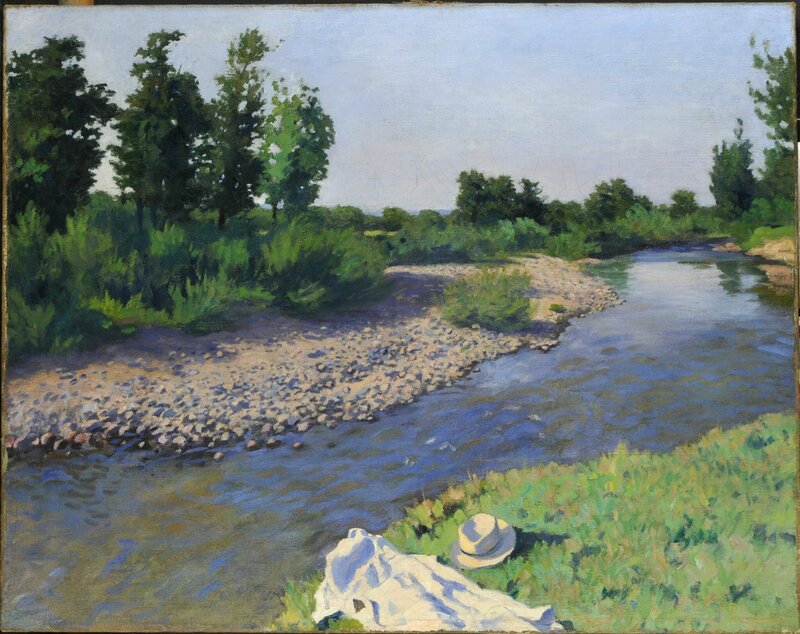 Károly Ferenczy, Stream II, 1907, oil on canvas, 134 x 171 cm. Budapest, Museum of Fine Arts. 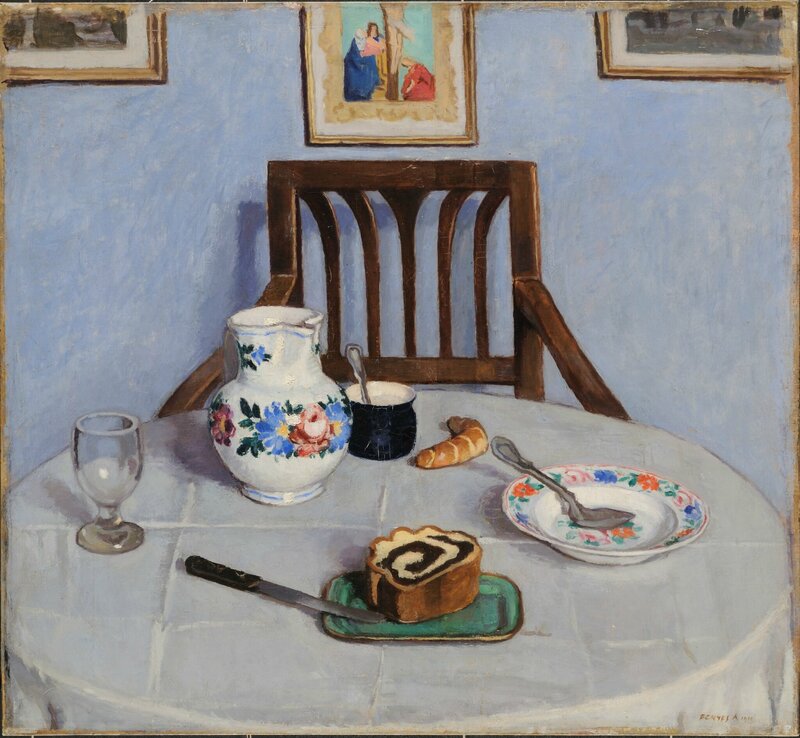 Adolf Fényes, Poppy-seed Cake, 1910, oil on canvas, 80 x 87 cm. Budapest, Museum of Fine Arts. 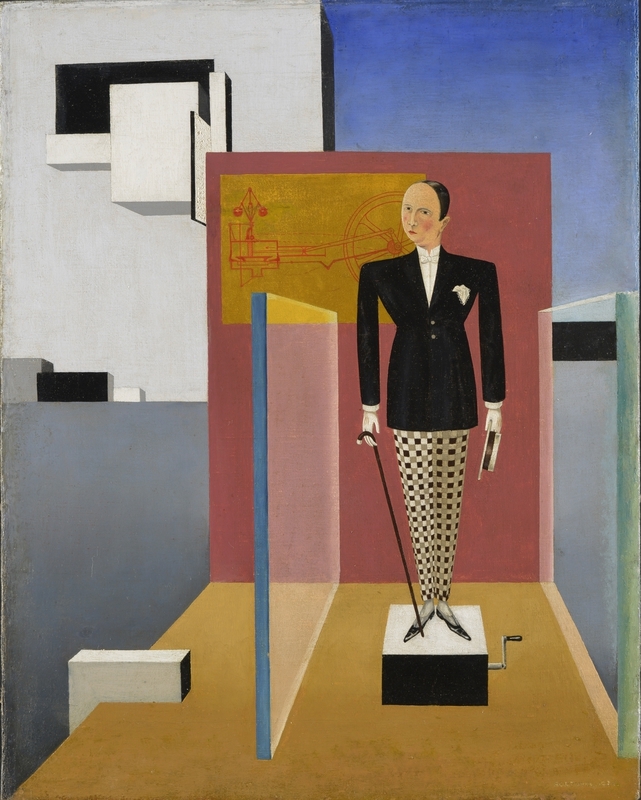 Sándor Bortnyik, The New Adam, 1924, oil on canvas, 48 x 38 cm. Budapest, Museum of Fine Arts.